How serious is the drunk driving problem in South Carolina? It is easy to think that your chances of being in an alcohol-related crash are low, especially if you are a responsible driver yourself and make the choice to never drive when you have been drinking. However, drunk driving is a serious problem both nationally and right here in South Carolina. All it takes is one accident with a drunk driver to change your life forever, leaving you or a loved one with severe, permanent injuries—or even your life. 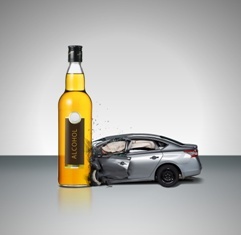 Drunk driving incidents are more common than many people realize. Over a million drivers were arrested for DUI across the nation in 2015, according to Centers for Disease Control and Prevention data, and more than ten thousand people were killed in DUI crashes. So where does South Carolina stand? The fact is that our state ranks consistently amongst the worst states for drunk driving. Here in South Carolina, a full one-third of all fatal accidents in 2016 involved a driver with a blood alcohol level (BAC) at or above the legal limit—331 lives were lost that year. Of particular concern in South Carolina are Myrtle Beach and the surrounding areas. The Grand Strand is well-known for being a highly-trafficked route through the region. With tens of thousands of visitors coming to enjoy the sights, sounds, and party atmosphere of the local area, it means that the risk of a DUI accident is disproportionately high all across Horry County—where a traffic accident happens every 48 minutes, according to the South Carolina Department of Public Safety. If you have been hurt or a loved one has been killed by a drunk driver, you have our deepest sympathies. We are here to help those who have been hurt recover from drunk driving injuries by seeking financial compensation in a court of law, and we would like to be there for your family in your time of need, too. We proudly serve those who have been injured in DUI crashes caused by other drivers in the Myrtle Beach, Florence, Sumpter, Lexington, and Columbia areas, and across the entire state of South Carolina, as well. To speak to an experienced legal professional who cares about your case, please call us today, use our contact form to send us an email, or click the live chat box on this page right now.